Greig Laidlaw’s 79th-minute Scotland penalty denied Italy their first Six Nations victory since 2015 in Rome. 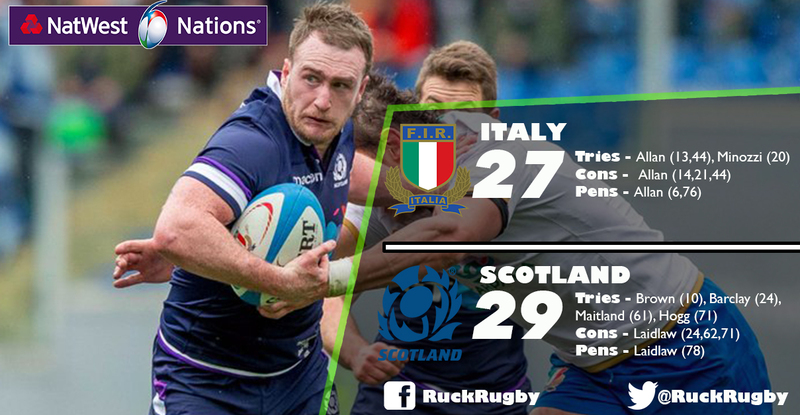 Tomasso Allan had booted Italy ahead in a dramatic final 10 minutes, before Laidlaw’s decisive strike. Former Scotland Under-20 fly-half Allan contributed 22 points, including a try in either half, and also set up Matteo Minozzi to touch down.